Denise had thought of everything. Her architecture firm was on the verge of landing a big new client, and she was in charge of making sure that their RFP meeting would dazzle them. She was having the proposal printed and bound, had ordered a custom welcome sign, and was even having the meeting catered by the prospective client’s favorite local restaurant. Everything was set for Thursday. There was just one problem – no one told Denise that the meeting had been moved up to Tuesday. On the big day, Denise was caught off guard. The proposal was hastily printed on the company’s black and white printer after the client had arrived, and the meeting failed to impress. Ultimately the business went to another firm. What went wrong? Along the way, Denise was accidentally looped out of an email chain with 30 other people on it. Despite her best intentions and all her hard work, she (and her firm), never had a chance, all because of a breakdown in workplace communication. As the above example demonstrates, imprecise workplace communication can have dire consequences. Workplace communication is particularly challenging because there’s no aspect of your company that it doesn’t touch. It’s a problem to be solved at every level – from the peer-to-peer level, to the manager-direct report level, all the way up to the department and all-company level. Each of these levels has different dynamics with its own unique challenges, and they only become more difficult as your company grows. So here are our tried and true tips to address these challenges head on and elevate your workplace communication to new heights. We’ve organized them by level to help you find the right solution for the problem you’re facing. 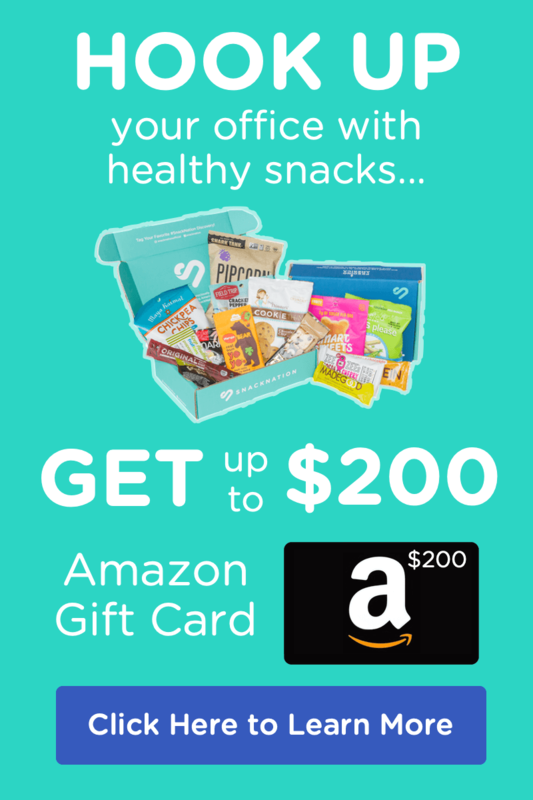 Last year at SnackNationSnackNation, we launched a buddy program for new hires, and it did wonders for our internal communication. 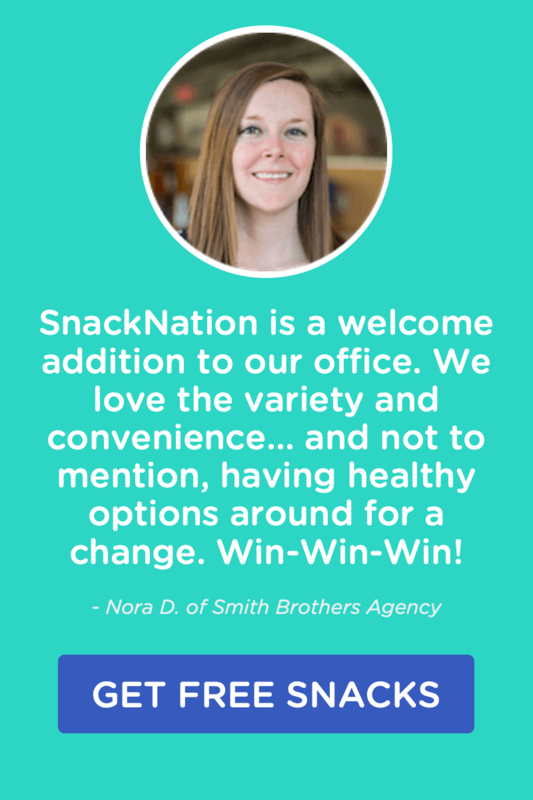 The program went like this – every new SnackNation team member was assigned a buddy from a different department to help them with the onboarding process, answer any questions they might have, and serve as a personal and professional resource. The idea was to help acclimate new hires with the company culture and provide them with support from someone other than their manager. One of the unexpected benefits benefits we found was that it increased cross-departmental communication. 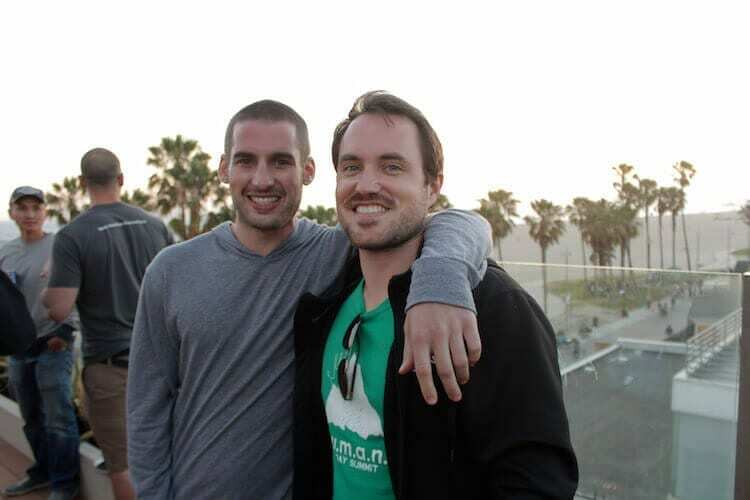 The bonds forged in the buddy process tended to last well beyond the onboarding period, and buddies were able to surface needs and develop ways to collaborate on projects across departments in ways we hadn’t seen before. 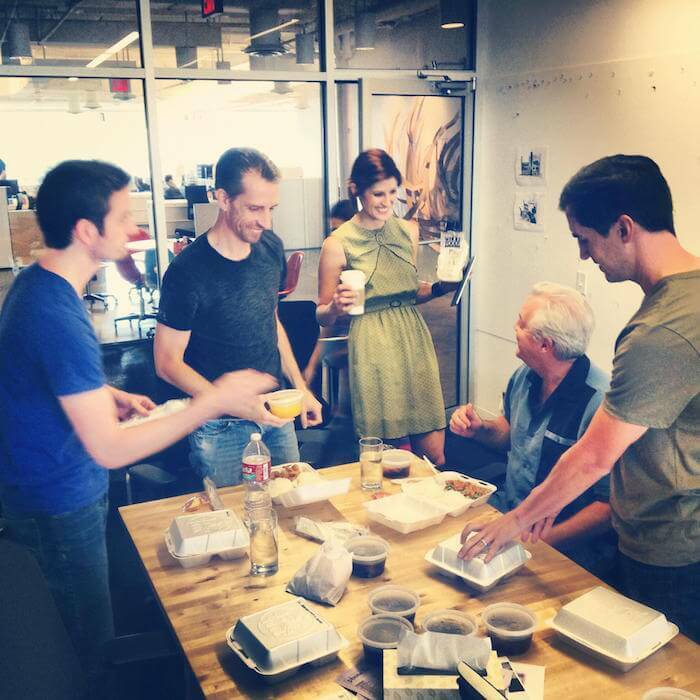 Inter-departmental lunches are a fantastic way to get individuals from different teams and departments talking. In addition to the connection that result from learning about one another’s personal stories, interests, and goals, these lunches are also a way to foster collaboration between departments. Departments often face problems that seem insurmountable, but only because they don’t have the necessary toolkit to solve them. Meanwhile, the expertise they need might be sitting right down the hall. Take customer service and marketing, for instance. At most companies, these departments don’t interact much at all – in fact, individuals on those teams might not even know what the other does all day. In reality, these departments are inextricably linked. Viewed from a high level, both marketing and customer service touch the exact same customer experience – they’re merely different stops on the same journey. There may be ways that marketing can strengthen the end-user experience by creating educational materials, or that customer service can help marketing better articulate your product’s value proposition. But they’ll never figure this out until you get these departments interacting. So hire a taco truck and spend one afternoon per quarter bringing people from different sides of the house together. You never know what they’ll come up with. Besides being tons of fun, team building exercises can improve communications between individuals. A day spent off site doing something other than work will help your employees break down the barriers that prevent communication from connecting and communicating. 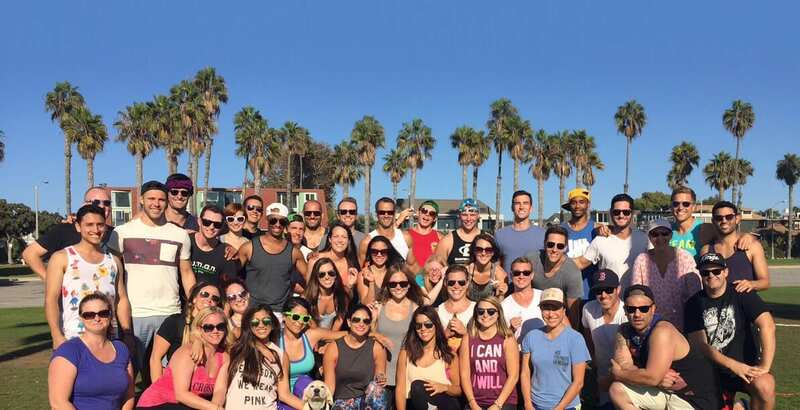 One of the best ways to strengthen the bonds of your team is through fitness activities. Whether it’s a push up challenge or daily bootcamp, you can kill two birds with one stone, strengthening team bonding and communication while creating a healthier, more productive staff in the process. You can’t solve a problem without first knowing what that problem is, and the best way to find out what is and isn’t working for your team is by asking them. 15five is one of our favorite solutions for gauging employee sentiment, particularly between managers and their direct reports. Their software makes it incredibly easy to survey your organization and gauge employee sentiment about anything and everything. 15five was developed around the idea that a simple report that takes just 15 minutes for an employee to fill out and five minutes for a manager to read will have an outsized impact on the overall satisfaction of your workforce. Their platform makes it super simple to integrate this practice into your company’s weekly routine. In addition to general feedback, be sure to ask qualitative questions about how direct reports feel about internal communications – do your employees feel in the know? Do they feel like leadership makes a point to keep them looped in? What about the tone of the communication? Is it robotic, or does it convey excitement? Is it consistent with your culture? Your brand? One of the worst mistakes a company can make is to neglect to tell their own employees about big company news first. It’s a more common problem than you might think. Most of the time, big announcements come from the company’s communications department. Many of these teams are so externally focused that they notify press before their own employees. Additionally, communications pros might be worried about leaks (accidental or otherwise) breaking the embargoes they’ve worked so hard to secure, and so being secretive might seem like good practice. But the last thing you want is for your employees to learn about a strategic shift, a merger, or a major shakeup from a blogger. When employees read news about their own companies on blogs or news sites before they hear it from their employer, it signals that the company either doesn’t care to keep them informed or doesn’t trust them with sensitive information. This should be a hard and fast rule – don’t let employees learn about any major announcements from anyone but you. At the very least, you can time internal announcements to coincide with external ones so that employees feel looped in. We’ve argued many times about the importance of middle managers – after all, they’re the direct line to the C-suite, and are the ones in the trenches actually executing all those high level strategies dreamed up in corner offices. As important as middle management is, they tend to act as a filter between employees and leaders, and every so often, it’s good to remove this filter from the equation to ensure nothing is lost in translation, or to surface any suggestions that employees might hesitate to share with their direct managers. That’s exactly what skip-level meetings are designed to do. In a skip-level meeting, an employee meets with her boss’s boss. The advantage is that the employee has direct access to the leader’s point of view, one that is likely much more strategic and focused on the long term rather than the day-to-day. This will help her make more strategic decisions in her day-to-day role. Likewise, the leader gets an unfiltered look at what is and isn’t working on the execution level. One of the biggest mistakes we see companies make is to only reach out when things go wrong, and to take success as a given. So celebrate your team’s achievements. Create a monthly award for stellar performance, and announce it at your next all-hands it in your company newsletter. Make sure to surface the people who consistently do the right things and turn in amazing work so that they know that you don’t take them for granted. One of the biggest communications challenges workplaces face is a reliance on email. Why is email a problem? For starters, email creates information silos. While not entirely one-to-one, email by design limits communication to the number of people in the “to” or “cc” lines. How many times have you found yourself “looping in” colleagues to a needlessly long and convoluted email chain, only to have to reiterate the same information two or three times. All this tends to inhibit transparency and keep information locked in departmental buckets. Despite the growing consensus that too much emailing is bad practice, email is still the norm for the majority of workplace communication. This was echoed in our recent State of the Office Manager report (a first of its kind survey of hundreds of office managers from around the U.S.) 71% of respondents stated that email was still their preferred method of communication. One way to break away from email is with Slack, the ubiquitous messaging app for tech startups and other equally hip companies around the globe. With Slack, company’s have been able to reduce email traffic by nearly half, as well as bring down the amount of time spent in meetings. 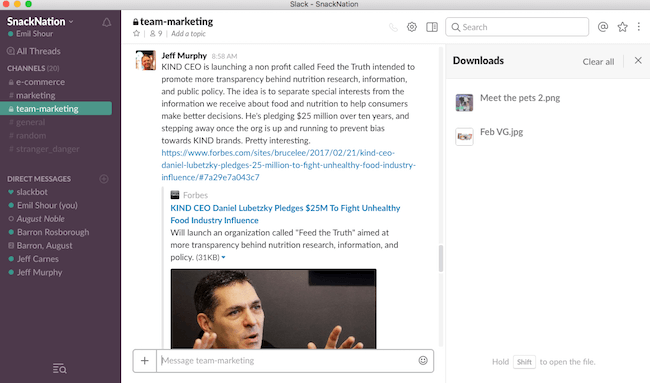 Unlike email, Slack is a company intranet designed with transparency in mind. 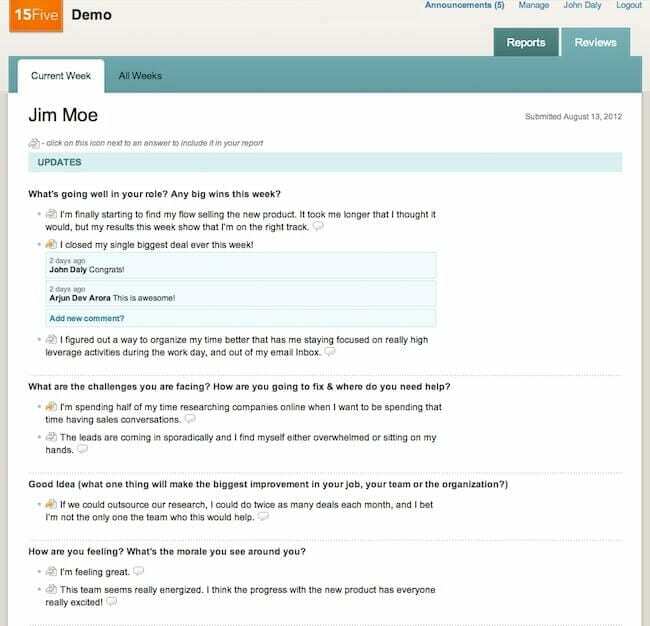 Users create channels where they can discuss topics that anyone in the company can see. If you’re added to a project in the later stages, you can view and search conversations to quickly get up to speed on the status of all the various moving parts. And with highly customizable notification preferences, you can sent Slack so that it won’t distract you during your highest periods of productivity. Slack is highly intuitive, but it does take some time to master. Check out Fast Company’s list of “Slack Hacks” for some pro-level tips. Sure it can be tempting, but when you sit down for a meeting, make sure your phone isn’t within arm’s length. Nothing says “I have utter disdain for everyone in this room” more than checking your phone during meetings. Putting your phone face down – or better yet, in your briefcase or bag – will help ensure that you’re more fully present in one on one meetings. This in turn will help you get more out of these meetings, and strengthen your relationship with your colleagues. 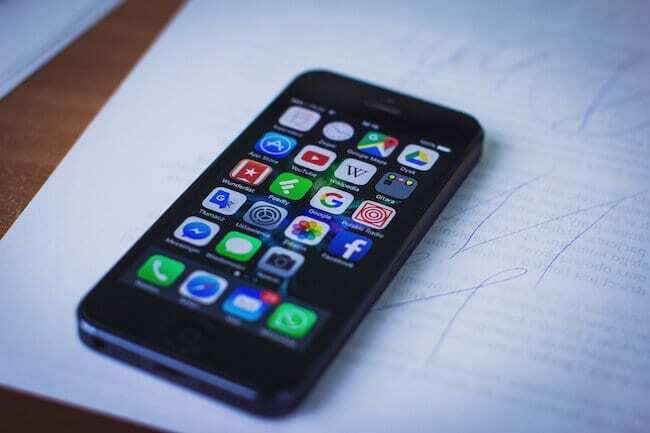 Speaking of email, one of the biggest mistakes companies mistake is relying on general communications channels when a more purpose-built solution is needed. Consider an engineering or product development team, for whom deadlines and status updates need to be tracked in a consistent, effective manner. For these teams, even Slack usually isn’t enough. Luckily there are tons of great project management tools out there. Basecamp, Trello, or Jira, are some of the most well-known and beloved. Authenticity is key in workplace communications. As we already seen, getting to the truth is so important when it comes to hitting your business goals, and you can’t do that without authentic communications. One of the best ways to establish authenticity is to encourage vulnerability. One tactic we use is to start staff meetings with a vulnerability exercise. Before our weekly leadership meetings, participants are asked to share something personal with the group. The meeting leader comes prepared with a prompt, and everyone weighs in. Share the greatest lesson you’ve learned from either of your parents. Name your greatest personal challenge and how you overcame it. Name your greatest fear in life. Name the number one thing you’re struggling with today. Name the most influential person in your life who isn’t related to you. Shared vulnerability will help break down barriers and establish trust, and allow you to speak more openly with your team. Vulnerability is also essential when it comes to voicing dissent – which is so important to getting to the heart of the issues that matter most to your business. Borrow a page from the playbook of your favorite college professor and encourage your leadership team to hold regular office hours. 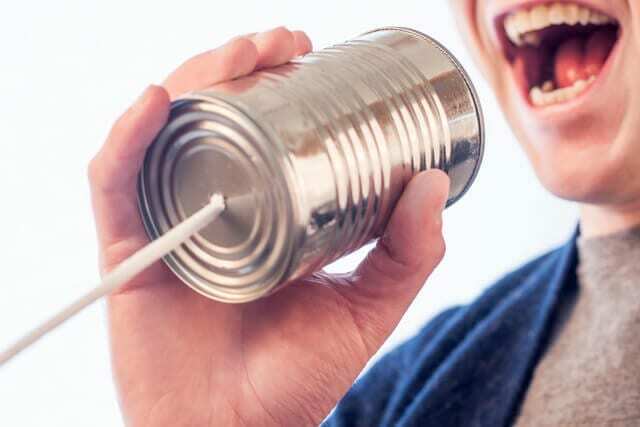 It doesn’t have to be much – just one or two sessions per month will suffice – but making your senior leaders available can do wonders for workplace communication. The beauty of this tactics is that the benefits go both ways. Your team will appreciate the access and will feel cared for and that their opinion matters. Meanwhile, your leadership will hear a point of view they otherwise might not have ever considered. While it might not seem a little old-fashioned, don’t count out the old-school suggestion box. Whether you opt for a physical or digital version, this tried and true tactic has one major advantage – anonymity. When employees can comment anonymously, they’re much more willing to tell leadership the truth about the issues that matter. If installing an actual lockbox doesn’t appeal to you, there are plenty of digital versions to choose from. Google Forms and Survey Monkey are both excellent ways to solicit feedback while preserving anonymity – or try Free Suggestion Box (the name says it all). Of course, in order for this to work, leadership must address the suggestions they get, either in all-hands meetings or other company-wide communications. If employees feel like the suggestion box is a black hole, it might hurt more than help. 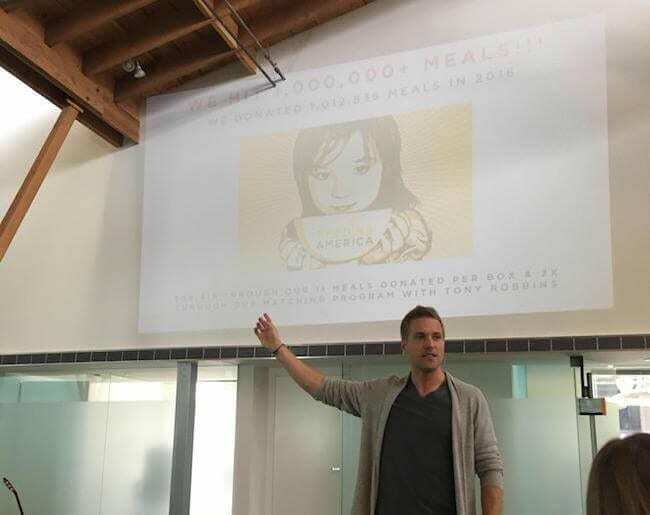 Speaking of … the all-hands meeting is one of the best ways to create a shared sense of mission and purpose for your company, as well as celebrate victories and allow employees from different departments to bond. 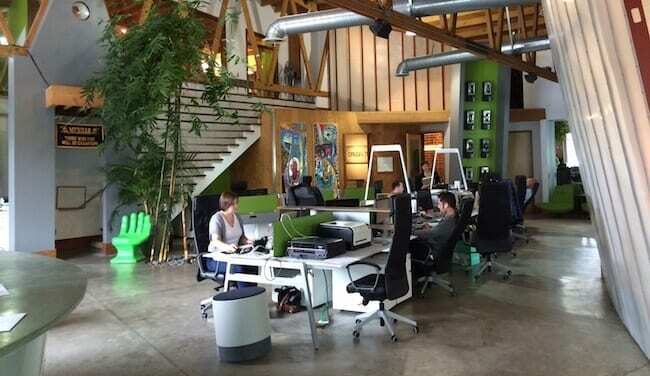 At SnackNation we hold two all-hands every week at our HQ in Culver City. Mondays are a weekly kick off with announcements from our awesome Vibe Manager Liza, as well as new hire introductions, and updates on monthly goals and metrics. Thursdays are our weekly Sensei Session, which features personal and professional development presentations led both by leadership and employees. Admittedly, this level of frequency might not be practical for everyone. If you’re a larger company, shoot for an all-hands meeting at least once a quarter. Often, these all-hands are the only time the entire company is able to interact on a face-to-face level, or have the opportunity to ask questions to their CEO, so you’ll want use them to roll out new quarterly goals and update your team on progress and achievements. Q&As are another great way to solicit feedback and demonstrate a commitment to transparency. We hold open Q&As once a month at our all-hands meetings. Employees are asked to submit questions ahead of time, or can ask them in person during the meeting. Nothing is off limits, and our leaders make an effort to be as open as possible. There’s a lot you can do to encourage better communication just in the design of your office. Open office layouts, for example, have some major advantages when it comes to communications, including making it easier for employees to interact on a face-to-face level. When employees are in offices or closed cubicles, they are much less likely to meet in person, and more likely to shoot off emails (which, as we’ve seen, has it’s drawbacks). So if you want to encourage more in-person communication (and you should), go ahead and break down those walls. One thing that can hurt communication is access. Your team needs easy access to crucial documents. One thing you can do is store your most important documents – like company guidelines, important templates, or goals sheets – live in the cloud so that anyone can access them. Google Drive, DropBox, or your company’s shared drive are great ways to keep these sorts of docs at your team’s fingertips. BONUS – Don’t Forget Remote Employees! Finally, there’s a good chance that a portion of your workforce doesn’t work at your company’s headquarters. Do you have a warehouse that’s offsite? A satellite engineering office in another city, or even another country? A handful of remote employees working from home? An outside sales crew that doesn’t come into the office? It can be easy to forget that everything we’ve discussed to this point applies to them as well. Your remote employees should feel just as cared for, included, and in the know as your employees at HQ. So at your all-hands meeting, make sure there’s a live video or audio feed for them to follow. If you do a Q&A, take questions from the people watching remotely. And fly your employees in, at least once a year. Despite all the amazing communications tools available today, nothing quite beats face-to-face interaction. As you can see, there’s more to workplace communication than meets the eye. Emotions, business objectives, tools and logistics all converge, and it can sometimes seem like there are too many moving parts to really nail down your comms strategy. The best advice is to remember to put yourself in your employee’s shoes and try to see things from their point of view. If you do that, the right decisions will be obvious. What are some tactics you use to improve communication at your workplace? Let us know in the comments below. I like the idea of putting phones away in meetings. These are distractions. It is hard to listen and absorb information at the same time if you are focused on something else. Yes, putting phones away is a must. Emails do not need to be answered during a meeting and when you have a phone with you, you are not paying attention to the meeting. Buddies and inter-departmental lunches seem like a great, easy start. Would love to try those! There are some great ideas here that I think our office should implement! I love all these ideas. But I worry that upper management and middle management won’t be on board. How do I get their buy-in if they’re not willing to see the potential benefits? I’m so excited to read this and learn about all the things we are already doing to make sure our communication is as great as possible, but I really love the buddy system idea and will share that with our directors to see about implementation for future! Thanks! I just signed up for an account on the Suggestion Box – great platform! These are all good ideas and I love how communication is key. Great knowledge. Thank you. Would love to receive direct noticatications of improvement in my personal email. You can! Subscribe and get our office tips sent straight to your inbox!